The Mahindra U301 codenamed compact SUV now has a name, the TUV300. 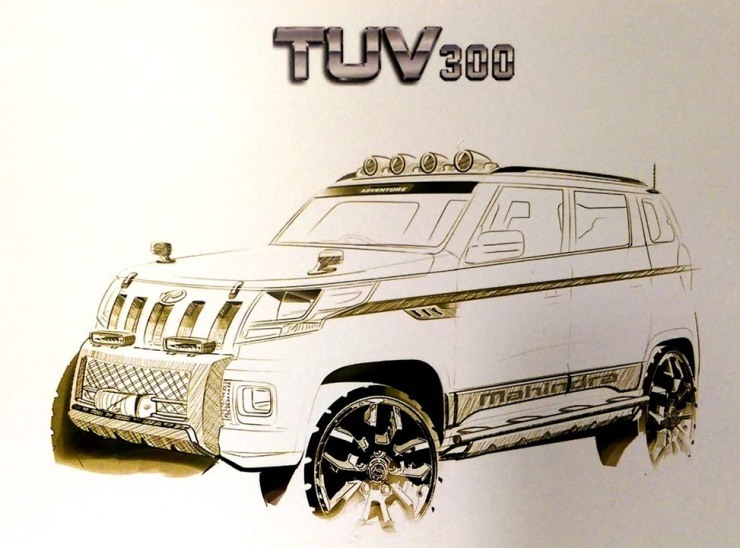 The TUV300 will be launched in September 2015, and will be the second sub-4 meter compact SUV offering from Mahindra, after the Quanto. The T in the TUV300 stands for tough while UV represents utility vehicle. 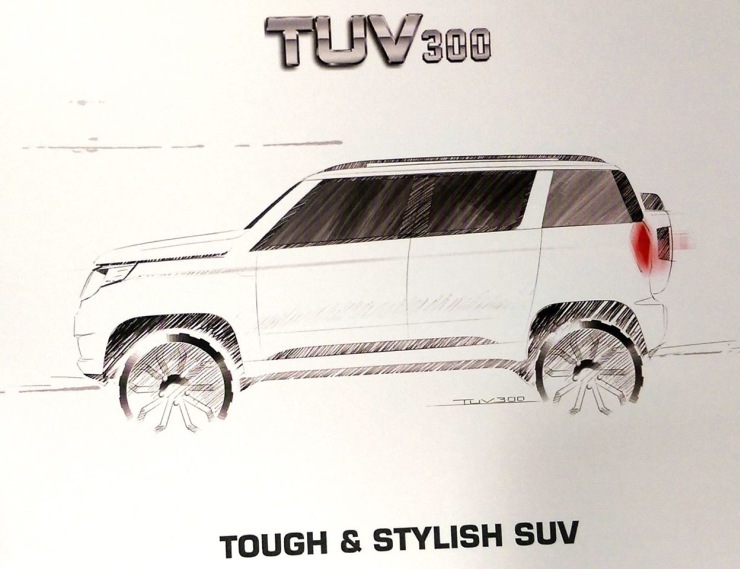 The TUV300 will be built at Mahindra’s Chakan factory, alongside the XUV500. The vehicle has been designed with inputs from Italian design house Pininfarina. The sub-4 meter compact SUV will feature a ladder frame chassis, and will be rear wheel driven. A new turbo diesel engine, named the mHawk 80, will power this SUV. Details of this diesel engine are unavailable at this moment, even as the 80 in its name suggests an 80 Bhp power output. A five speed manual gearbox will be standard on the TUV300, which is also expected to get an automated manual transmission option. Mahindra will sell the TUV300 alongside the Bolero, with the former as an upmarket alternate aimed mainly at urban compact SUV buyers. The TUV300’s platform is ready for a four wheel drive layout but Mahindra will stick to the rear wheel drive layout in the beginning. The reason is easy to see. Offering a four wheel drive layout on the TUV300 may result in the new compact SUV encroaching the Thar’s market, a course that Mahindra wants to avoid. Mahindra will see the TUV300 as a tougher alternate to the likes of the Ford Ecosport and the Renault Duster. The diesel compact SUV is expected to under cut both the Ecosport and the Duster in terms of pricing. A launch price in the 6-7 lakh rupee bracket is likely. Mahindra could even snag a surprise by launching the TUV300 at under 6 lakh rupees. The automaker will also line up a slew of customization options for its new sub-4 meter offering.